To encourage wider use and availability of the Ideal-Scope, we have a 10 scope deal for retailers and wholesalers. 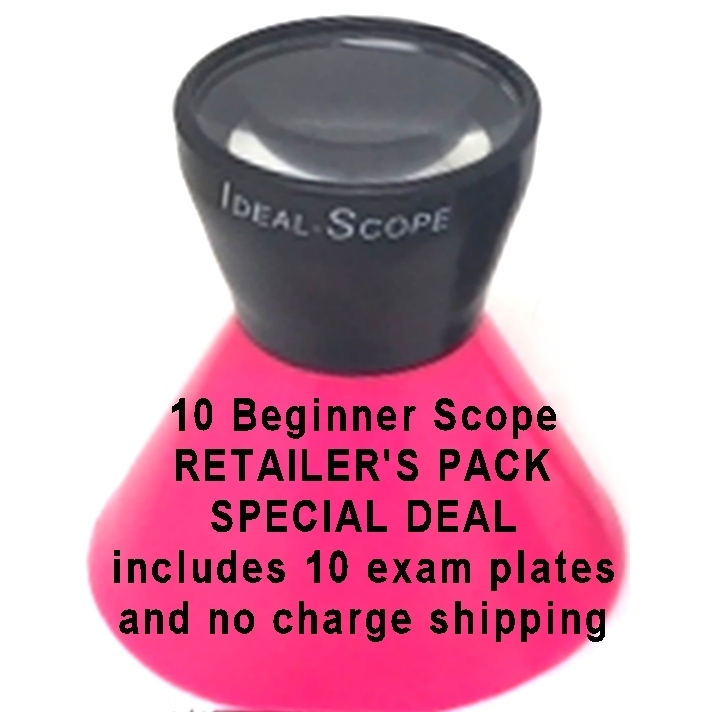 We’ll supply 10 Beginner Ideal-Scopes along with 10 Examination & Comparison plates A $280 value for $209. Priority Mail shipping has been deducted from the initial posted price of $198 but is automatically added on at the end of the buying process. Your NET COST is $209 for 10 complete units. PA Sales tax applies to items delivered in Pennsylvania. If you wish to use your own label and pay your own shipping, just advise us via email, datlasco@gmail.com , and we will refund the $11 shipping directly back to you.